Live music, free beer, local art! 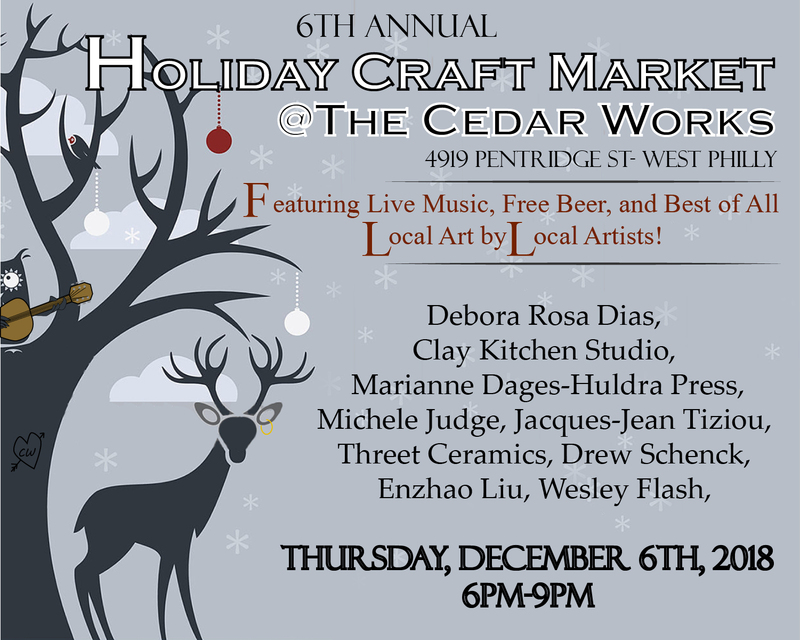 Join us at The Cedar Works (4919 Pentridge St) from 6-9pm for a festive winter gathering. Many of the artists and artisans who work in the space will have wares for sale that will make great holiday gifts. There'll be live music, beer from Dock Street Brewery, and kind neighbors to spend time with.